These vintage sterling Mexican earrings measure 2 1/4" long including ear wires. 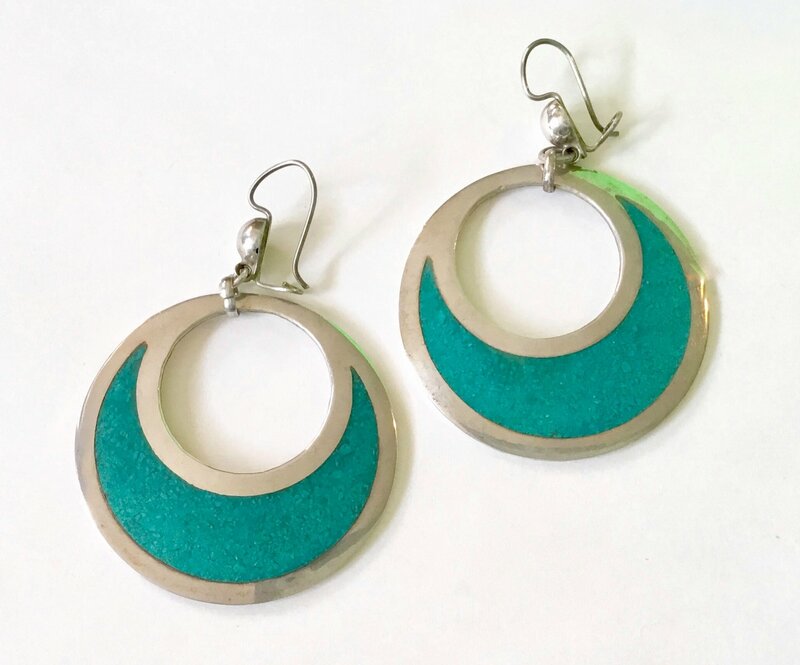 The sterling hoops are cut out and set with crushed turquoise. These earrings are beautifully crafted and are signed "Joy-Mex, Hecho En Mexico, Plata (sterling) 0925." The text surrounds a crown. Each earring is marked.